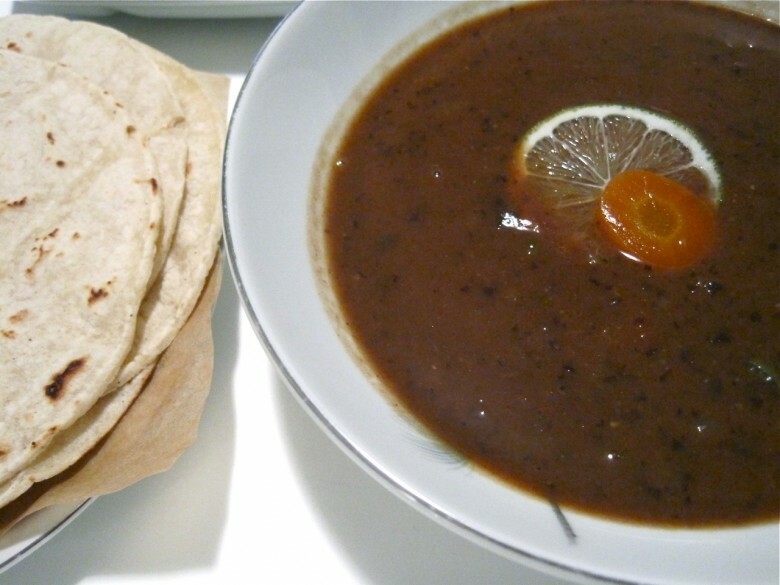 This Black Bean soup, although hearty enough to be a meal in itself, was actually a side dish to my forthcoming veggie taco platter post! 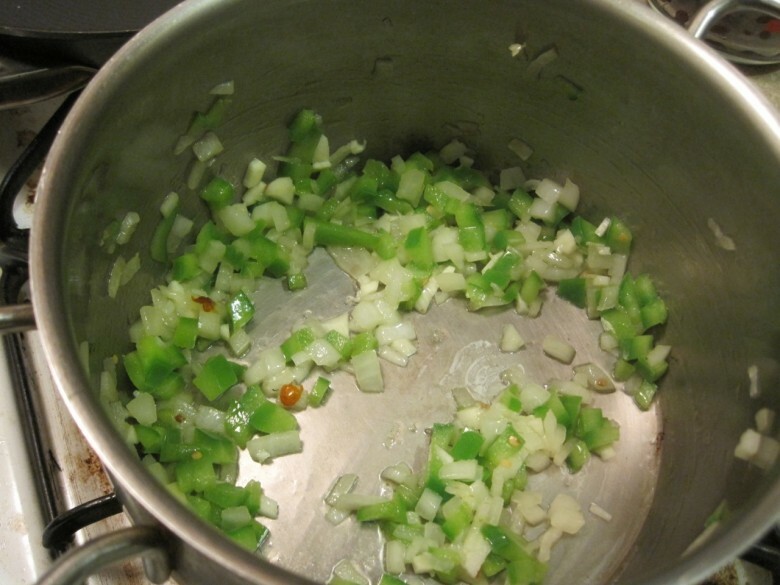 In a medium sized pot, with a little olive or coconut oil, saute the pepper, onion, garlic and hot peppers, until the onions start softening and become translucent. Next, add in the powdered seasonings, stir well. Add the tomato and cook for a minute or two over medium heat so the tomatoes start releasing some of their juices. 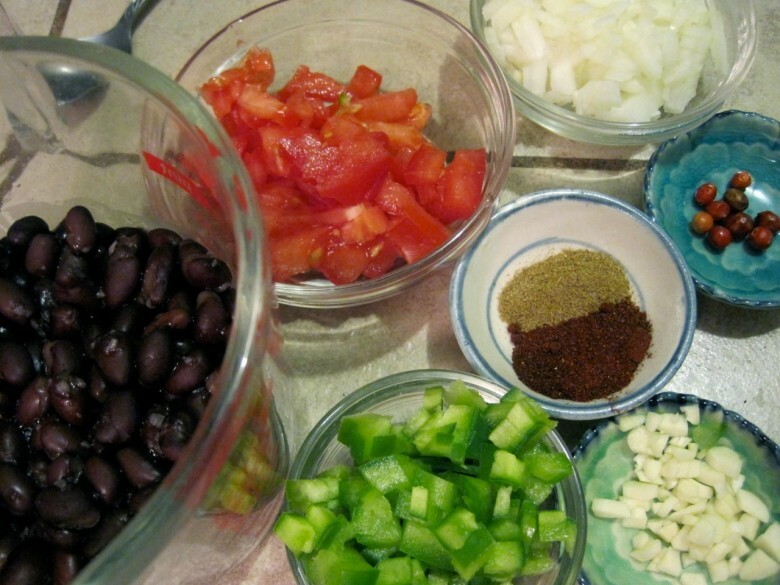 Add the beans and the vegetable broth and bring to a rolling boil for 5 minutes, reduce heat and simmer for about 10 minutes. The last step is blending!! Ladle about 1/2 of the soup into a blender, making sure to get an even distribution of broth to beans/veggies. 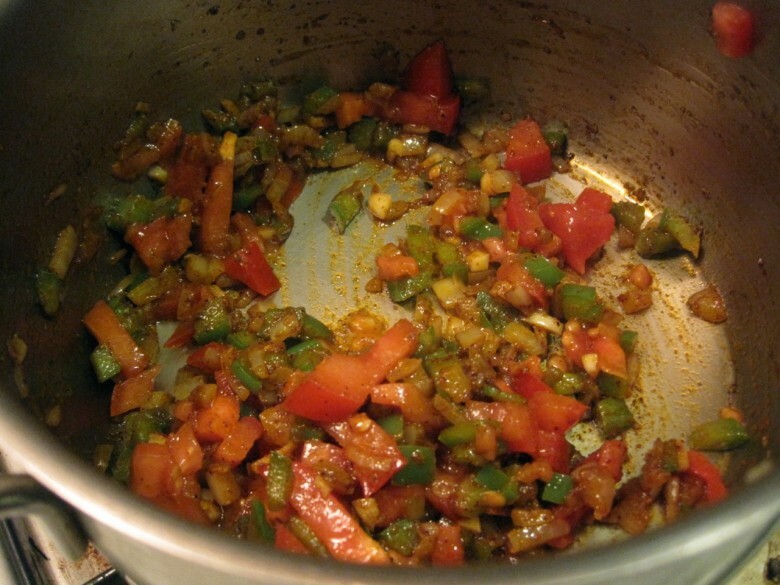 Puree in blender and then reintroduce it to the soup remaining in the pot, bring to a boil and then serve. By blending only half, you’ll get a nice chunky soup. Garnish the soup to your liking. I used a thinly sliced lime wedge and pickled carrot, but corn, salsa and cilantro are also tasty. 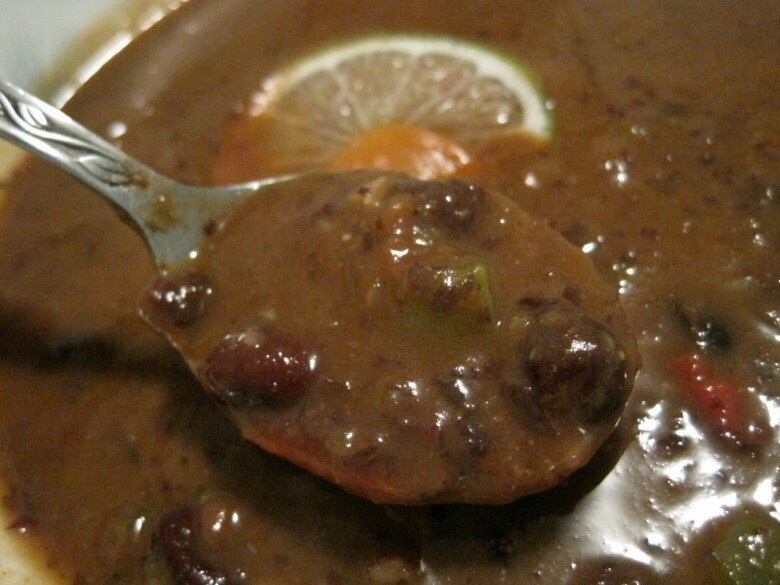 April 23, 2011 | Filed under dinner, gluten free, lunch, vegan, vegetarian and tagged with black bean, soup, spicy, vegan, vegetarian.